Apple's marketing chief Phil Schiller believes the iPad Pro can be both a PC replacement and a supplementary device to the Mac. In a wide-ranging interview with T3 about the iPad Pro and other Apple products, including the iPhone X, iMac Pro, HomePod, and AirPods, Schiller said the iPad Pro's exact use case ultimately varies by customer. What we've learned, truthfully, is that it's both, and that depends on the user. For some people, iPad Pro is a replacement for their computer. Not that you throw away your computer. People don't often do that. Schiller added that, for many customers, the iPad Pro becomes their primary computing device, especially while traveling. But that it becomes your primary computing device. The way you mostly hear about this is people say, 'I use a computer at my desk' or 'I use a notebook at my desk, but when I travel, I travel just with my iPad Pro'. It is so great in that situation. So for those customers, the iPad has become their primary device, but they don't think of it in their brains as competing with their previous computer. It's just the computer they spend the most time with. 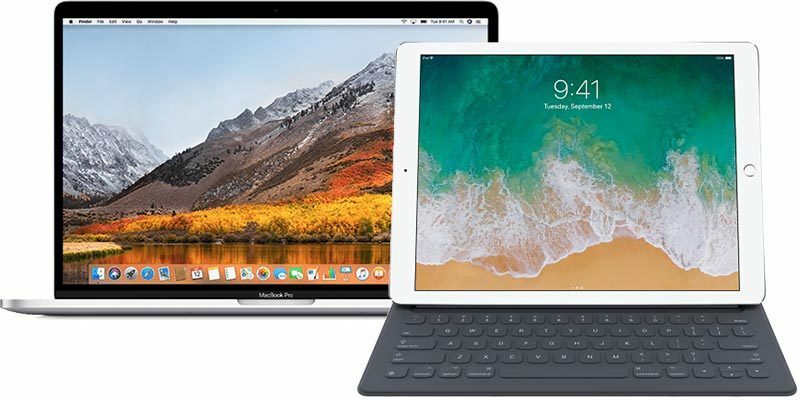 Schiller acknowledged that this isn't the case for everyone, as some customers may only use an iPad Pro for certain tasks where a tablet can provide a better experience, such as reading or watching movie and TV shows. So depending on what those tasks are, for those customers they're augmenting. And what we try to do is not tell the customer that either direction is the right or wrong way. It's almost like they’re making a distinction between the two, even though the uses are overlapping, and one is replacing the other frequently. Schiller referred to the iPad Pro as a computer on a few occasions, which contrasts with Apple's latest "What's a Computer?" ad for the tablet. At the end of the video, a mother asks her young daughter "what are you doing on your computer?" and the daughter responds by asking "what's a computer?" to imply that the iPad Pro is not a computer. While the ad might suggest Apple's increasing focus on the iPad over the Mac, Schiller ensured that the company "cares deeply" about its pro customers. "We love that so much is created on Mac," he said. To address the needs of those professionals, Apple is launching a powerful iMac Pro this week. The company is also working on a modular Mac Pro that will be accompanied by Apple-branded pro displays. The lack of a pointer interface on iPad means that it will never replace a computer for me. If an iPad could replace a computer, you didn't need a computer in the first place. Let me know when iOS allows for multiple users to sign in to a single device. Until then, this is a poor replacement for a computer. Phil, seriously? When I can't even open a webpage like on a computer while I have already requested the desktop site? Sorry Phil, the iPad cannot hold a candle to the Mac. Two total different devices. While I can do some "work" on the iPad. As a graphics designer the Mac is the king. No discussion there. I hate that commercial and that kid...i bet she's thee type get easily triggered by any comment...kids today. I use my iPad Pro 10.5 for school for nearly 90% of what I need, but the other 10% is vital to keep my MBP around so his assessment is spot on. I think Apple has definitely made big strides with iOS 11 on the iPad productivity side too and makes even more compelling as an every day all around device. Okay now that I got that out of my system, if you look at his actual words it’s all marketing doublespeak and he’s not really committing himself or Apple one way or another. People like me who can replace a desktop with an iPad Pro will hear that part of what he said and agree. People who need a full computer for their workflow will nod and agree with that part of it. For once he hedged well enough not to dig himself into a hole. Would buy an iPad if i could also connect a mouse. The most amazing thing would be if the iPad could display a Mac OS X light kind of interface optimized for use at a desk with mouse and keyboard.